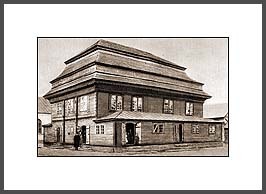 Wooden synagogue, built ca. 1770. Photo 1920s.